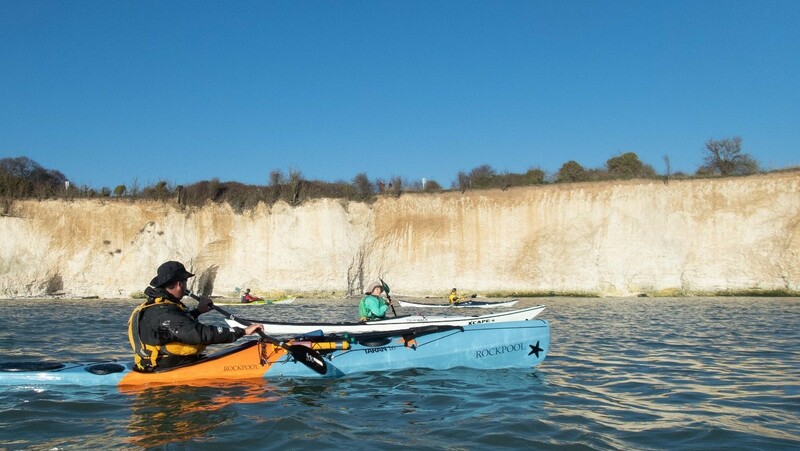 In association with Rob from South East Kayaking (SEK), members of CKC joined his trip across Pegwell Bay, South of Ramsgate in late February 2019. It turned out to be an absolutely stunning winter’s day with clear blue skies and warm temperatures (for winter at least) and very little wind. After arriving through an improbably long tunnel to Ramsgate Harbour, we met up with people from SEK. Rob was keen to show off his collection of Rockpool sea kayaks (5 out of the 11 boats that day were Rockpools). Rockpools are surely stunning to look at, but at least one hatch has to be filled with cotton wool that is put out before landing, so the fibreglass doesn’t get scratched. 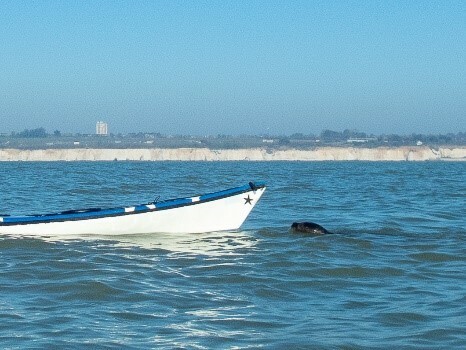 At about 12.30pm we were off crossing Pegwell Bay. Wind was Force 2 maximum and often a lot less. With bright sunshine and 14C it was definitely a day for hats and sunglasses. We followed the River Stour up for about a kilometre and then headed back across Pegwell Bay via a replica Viking ship, doing a bit of exploring of the caves in the chalk cliffs on the way. 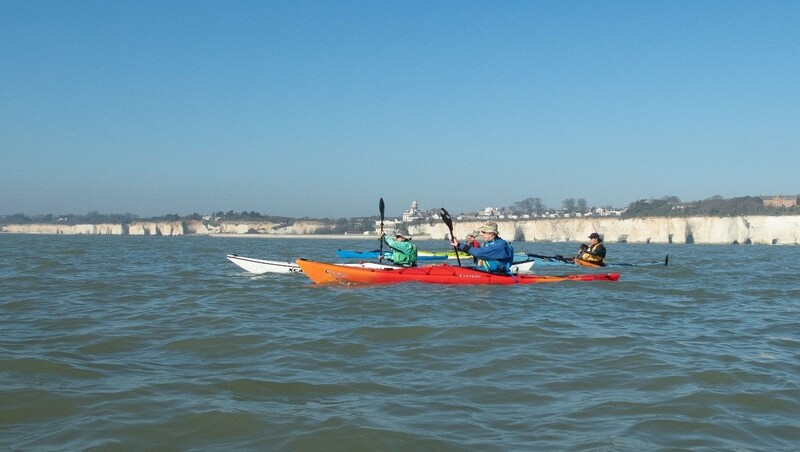 A very simple, enjoyable trip with fabulous weather – a great way to spend a Saturday afternoon!